I thought about having a page devoted to my favourite song of the week, or YouTube video, or gadget, or food, or drink, or picture, or book, or magazine, but I couldn't really decide on what was best. So, after much discussion, debate and brain straining, I opted for my favourite 'thing', which covers all of the above and anything else that is on my mind. Food is a massive favourite thing in my life, especially if it involves pasta - particularly spaghetti carbonara or meatballs in a rich tomato sauce. Wash this down with a bottle of orange Fanta or a glass of Coca Cola (not Pepsi please!) and that could be perfection, although a KFC bargain bucket or a Dominos pepperoni pizza would both come a close second. When it comes to fave songs, you can't go wrong with a bit of Ed Sheeran (or Ed Shez as I like to call him), who is a real ginger dreamboat. His trademark ginger hair certainly has my approval. I read all of the Harry Potter books a long time ago, and of course, I have seen all of the films. Books that I'm reading now include the Maze Runner series, the Divergent series and the Mortal Instruments series. Now, this is a funny thing to be having as my thing of the week, since it is clearly a product designed for men, and I am clearly not a man. However, lots of people in the press have been raving about the benefits of using this Post Shave Balm as a make-up primer. I was not convinced, but after getting myself a bottle and trying it out, I can really see what they are saying - it is awesome. My makeup now sticks to my face like superglue, and yet it is easier to clean off as well, thanks to this protective barrier. If you like makeup like I do, then do consider giving this a go, I don't think you will be disappointed - and this is not an advert by the way! When I was little, I remember asking if I could have a baby panda as a pet, so my parents bought me a cuddly toy panda instead, which was very cute and squishy. 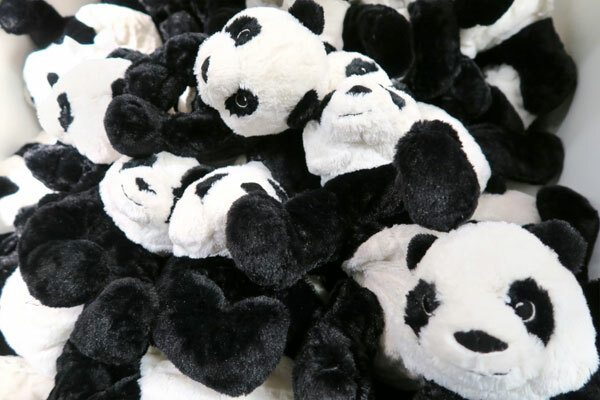 I was at Ikea the other day, replacing my smashed up bedside lamp (bit of a story) and I spotted this huge pile of panda toys. I thought they looked cool being a mass of black and white, and so I took this picture for my 'Thing of the week'. I found this so funny, so I thought I'd share it here in case any one else has the same warped sense of humour as me. 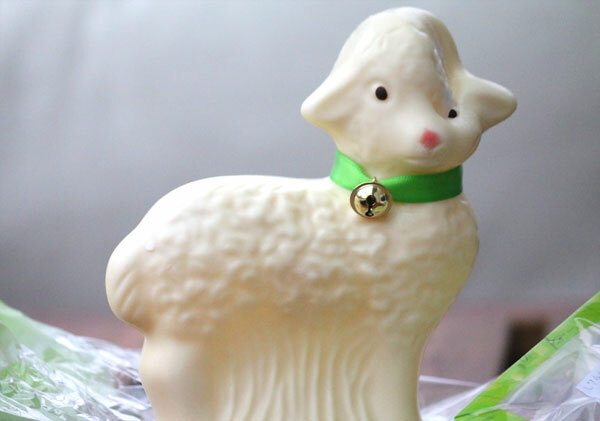 I left my white chocolate Easter lamb by the window and it was so sunny that it melted one side of its face, making it look a bit like the Elephant Man. So I called it my Elephant Lamb. I've eaten the whole thing now, except for the head, because I still find it funny. My R2D2 Easter egg completely melted as well, right into a blob, because I left that one by a radiator! It still tasted yummy though. I shall have to be more careful next year. I have always wanted to see a dodo skeleton, as I find this extinct bird so fascinating, and such a sad story. 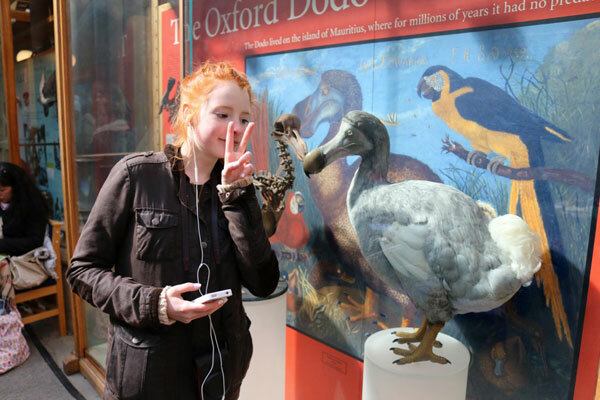 At last I stood face to face with a very realistic recreation of the dodo, at the Oxford Natural History Museum. No longer on the planet because of man, the dodo once lived peacefully on the island of Mauritius, that is until sailors arrived and set up home there. People used to think that the sailors simply ate all of these friendly flightless birds, but it's now believed that they tasted really bad. So it is more likely that their dogs and pigs just ate all of the dodo's eggs, since they nested on the ground. RIP the dodo. Easter is a brilliant time of the year, not only because of the holidays and chocolate eggs, but because it gives me the opportunity to paint on some wacky Easter egg nails. I've recently made a YouTube video about how to do these nails, so if you are interested, check it out. 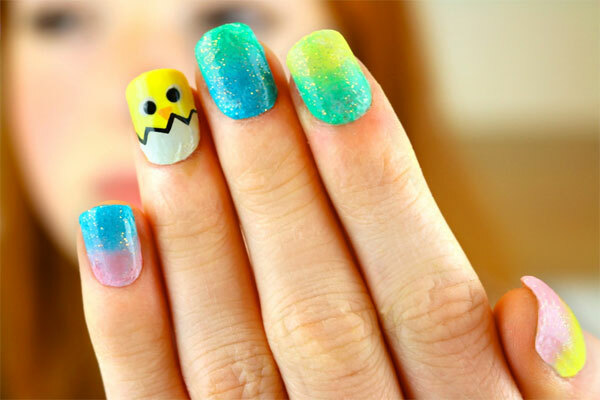 The nails are sponged with two different colours to form a gradient, while the ring finger is decorated with a cute yellow chick hatching out of its egg shell! I love photography and so have recently got this absolutely enormous zoom lens, which is a bit of a whopper to say the least. 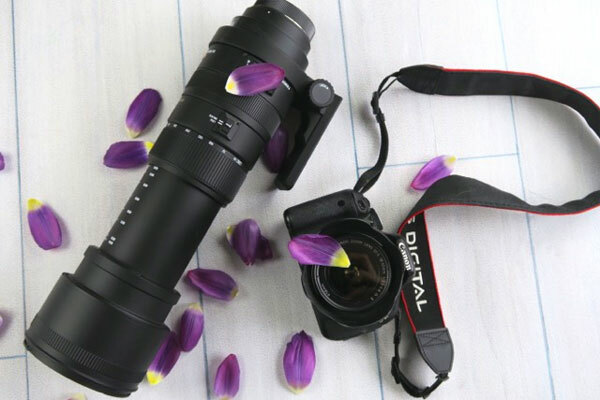 It is a Sigma 50-500 mm 10x optical stabilised lens and it fits onto my Canon 600D SLR camera. The lens itself is amazing and I can zoom in such a long way, although it is extremely heavy. I can use it by hand because of its image stabilisation feature, although if I was doing a wildlife shoot, I think it would probably be sensible to use the camera and this giant zoom lens on a tripod due to its weight. I made this toy maze in DT (Design and Technology) at school from bits of MDF wood and clear plastic. Basically, there's a tiny little ball bearing and you have to guide it through the maze to make it fall through the hole and into the maze on the other side. It's just a bit of fun, but what I was really pleased with was the art work, particularly the 'But officer, I did it for the aesthetic!' quote and the sad smiley face. I also included some great pictures of Halsey, Melanie Martinez, and Spencer Smith and Brendon Urie (from Panic at the Disco). 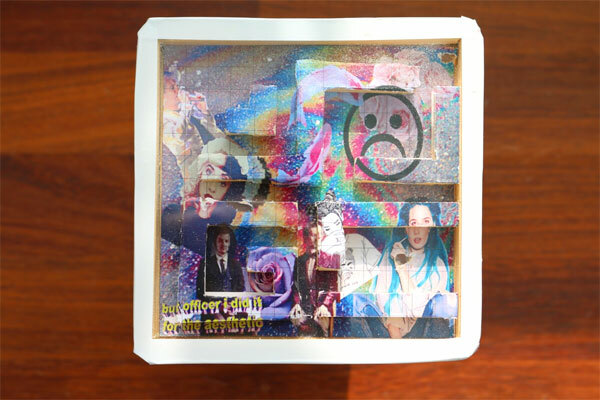 I spent three whole lessons designing this image and the one on the back, before glueing it all together. It now takes pride of place in my room, tucked away at the back of my bedroom drawer! Another useless school project, but it was fun to make and play with for a few minutes anyway. So, this might be a little bit girly, but it is worth mentioning, because it is just the best eye shadow make-up I've ever had the pleasure of using - ever. Urban Decay is amazing and this took me quite a while to save up for, because it is not cheap by any means. It was money well spent though, because all of the other stuff I've ever used has been next to uselss in comparison. 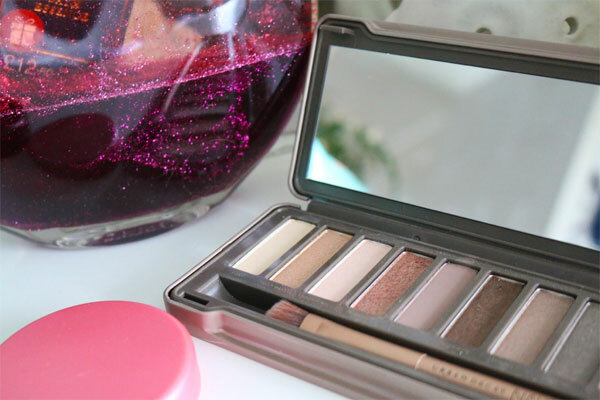 However, I've recently heard that the W7 Eye Colour Palette (In The Buff) is a very good substitute and roughly eight times cheaper, so I'm going to try that soon as well and hopefully save myself a few pennies. I started the NiliPOD YouTube channel back in October with my friend and it has slowly grown and grown, and now I've got almost 1,100 subscribers, which is just beyond amazing. However, I do recognise that some of my older videos are not as 'good' as my newer ones, because my editing and camera skills have definitely improved, and so I plan to slowly remove the old ones, replacing them with new ones from time to time. 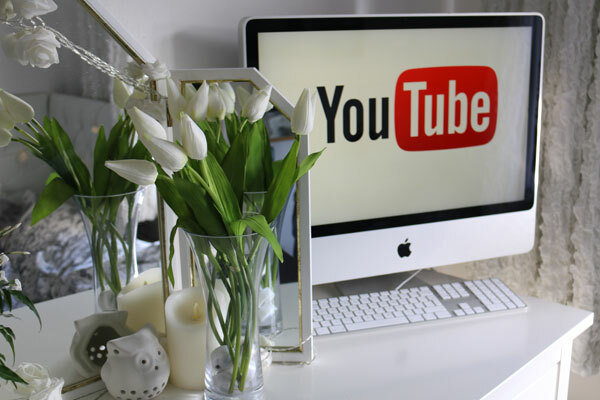 I am going to concentrate on doing beauty related videos, such as make-up and nail art tutorials, as well as vlogs and YouTube videos with my friends, where we might do some Q&As or play a game, such as Pie Face, the Bean Boozled Challenge or something else equally silly! Anyway, if you haven't subscribed yet, then now is the perfect time to press that great big red 'subscribe' button on the NiliPOD YouTube Channel. I like cuddly toys as much as the next person, and somehow I have ended up with a huge amount, most of which are sadly shoved right at the very back of my wardrobe. 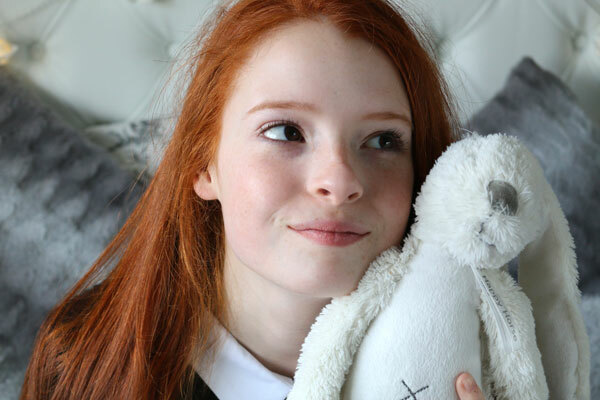 I redecorated my bedroom recently, with a mainly white and grey theme, and so I was given this cute rabbit toy, as it fitted in with my colour pallete and coordinated 'theme'. My friend Liv named him Jeremy Kyle, for some reason, and the name has stuck ever since.